If for some reason you've missed one of those blurry image leaks lately, well, here you go. 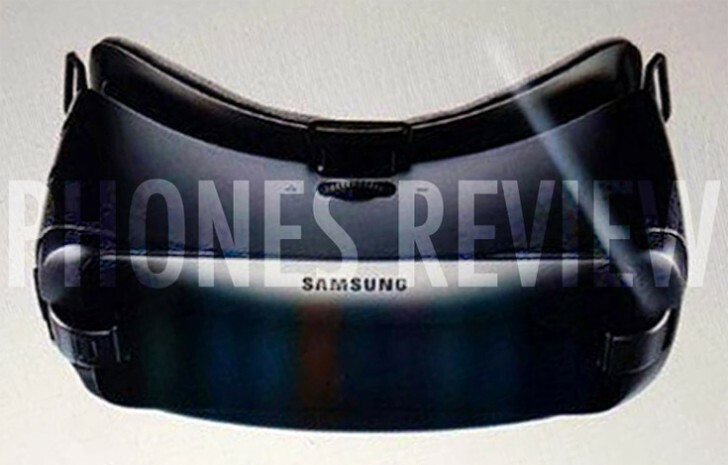 What you can see below if you're adept at reading between the pixels is supposedly the upcoming New Gear VR by Samsung. This headset will probably be launched alongside the Galaxy Note7 at the company's event next week, because its main selling point should in fact be the compatibility with Samsung's newest phablet. Since the Note7 will have a USB Type-C port, the old Gear VR isn't going to work with it - hence the need for this new model. On the outside it certainly looks similar enough to its predecessor (in shape at least), so it might be that the only change is that USB Type-C support. The new Gear VR will also reportedly work with Samsung's older phones, namely the S6 and S7 series, the Note 4 and Note5. In Europe its initial price will be €90, which means in the US it may get priced at $90. If true, then the new Gear VR will be 10% cheaper than the old one. Might wait for the watch to come out. Im sure they will make offers buy Note 7 get watch for free! Blurry because the pixels are round the edges? Get a flat note; much better.